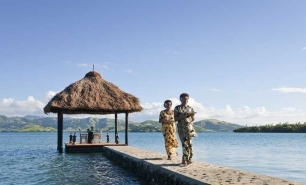 Dolphin Island, located just off the northern tip of Viti Levu, Fiji’s main island, reopened following an extensive renovation in 2011. 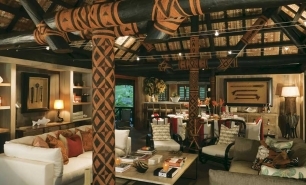 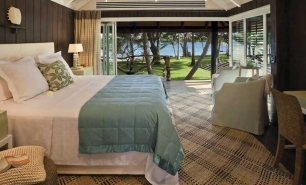 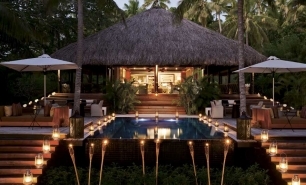 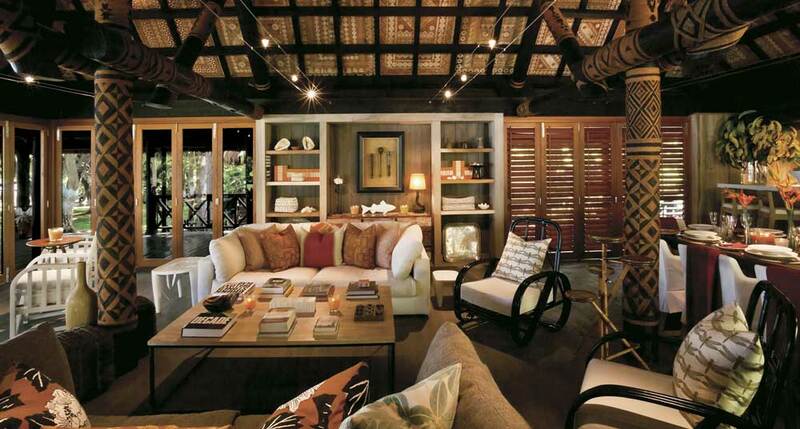 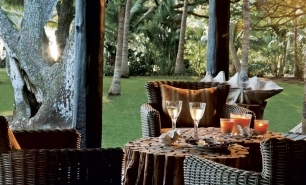 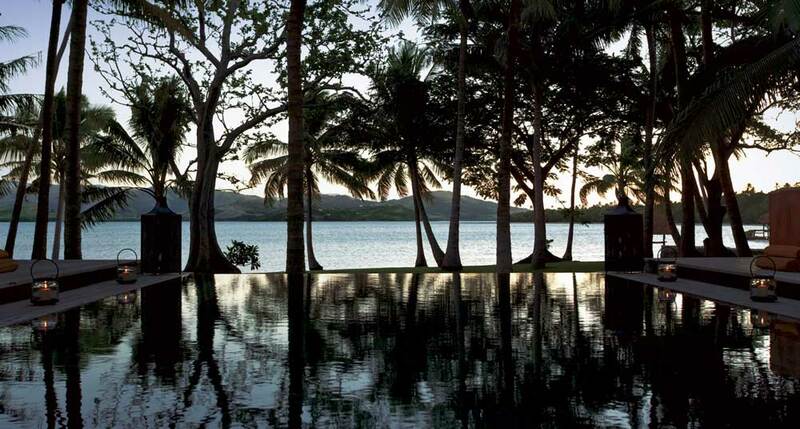 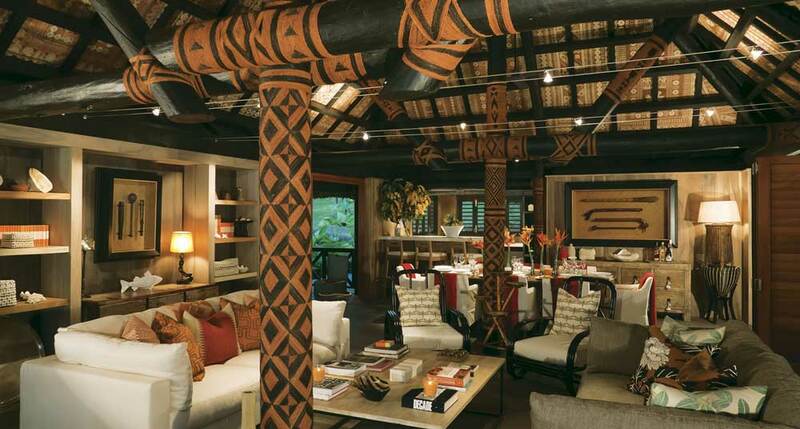 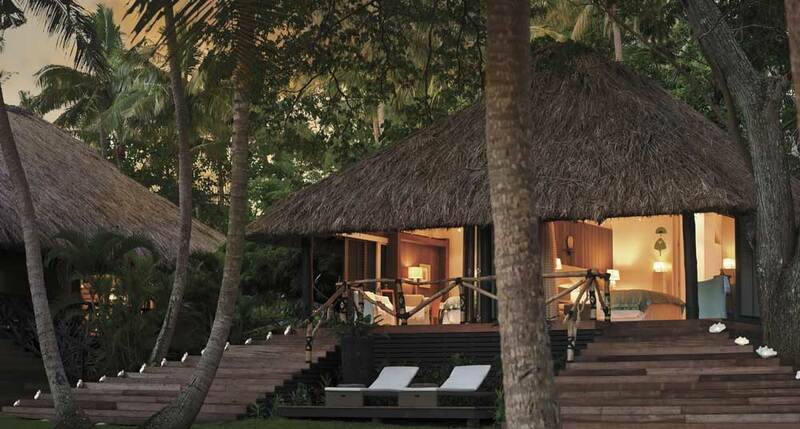 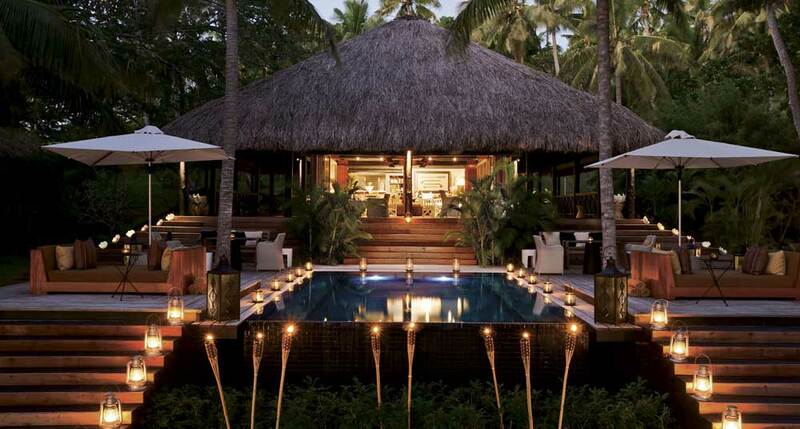 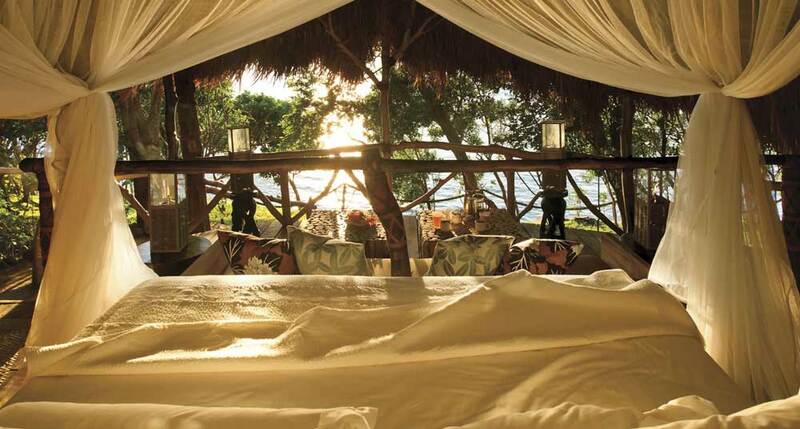 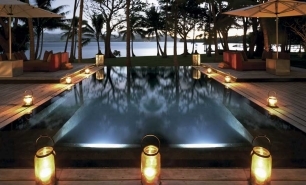 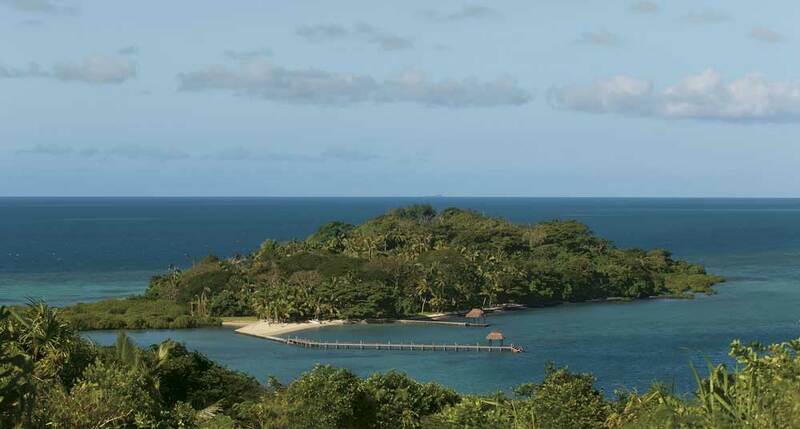 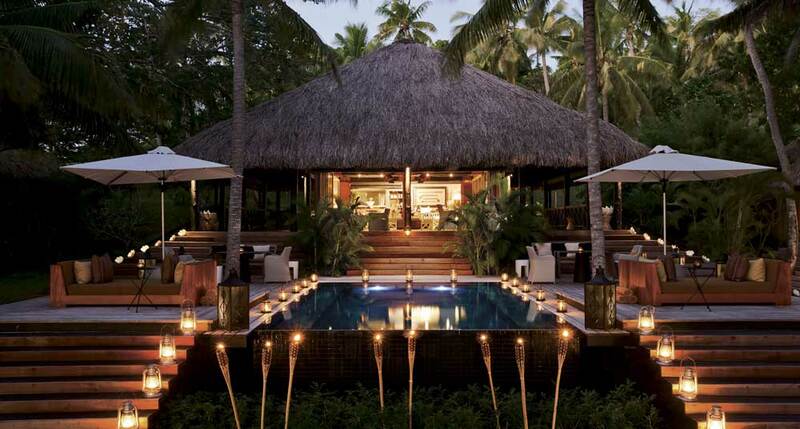 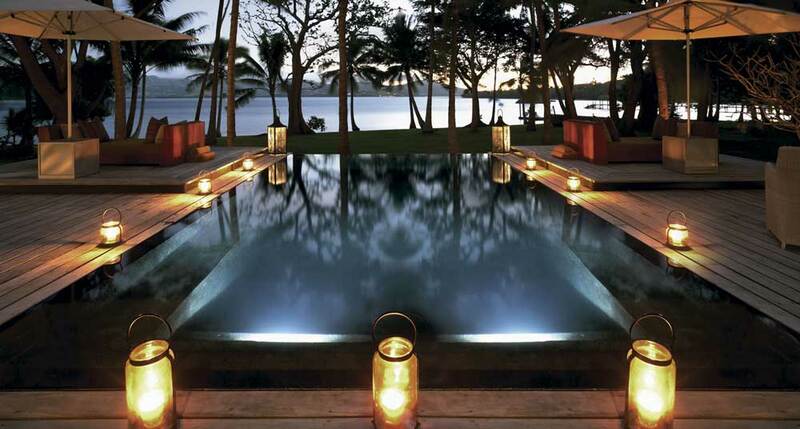 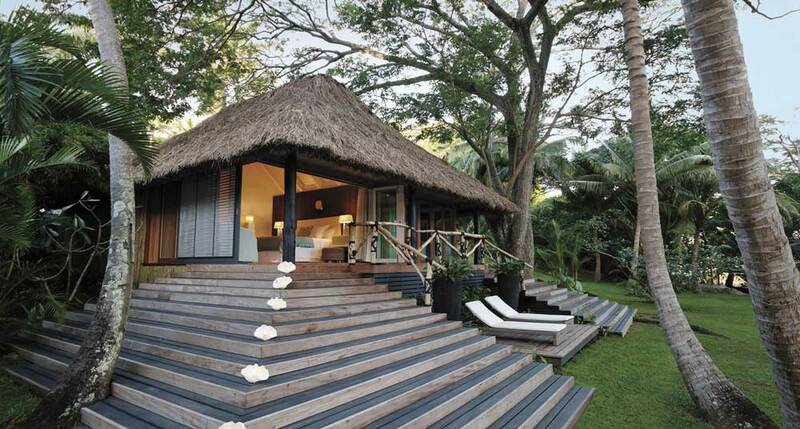 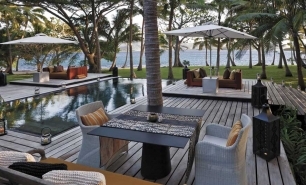 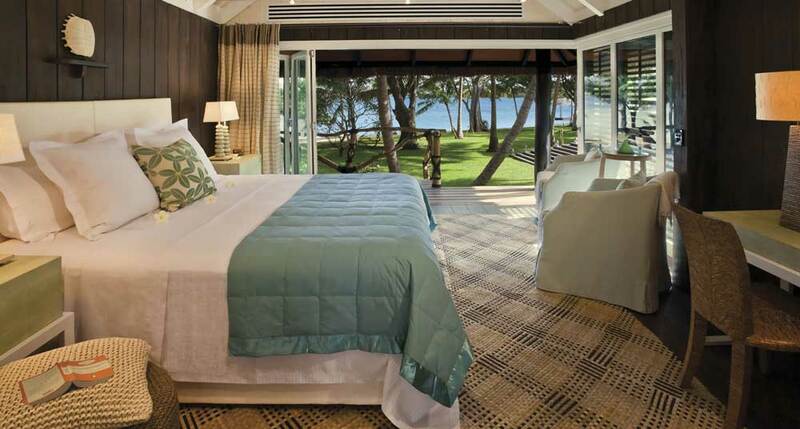 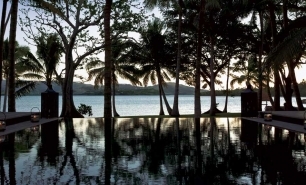 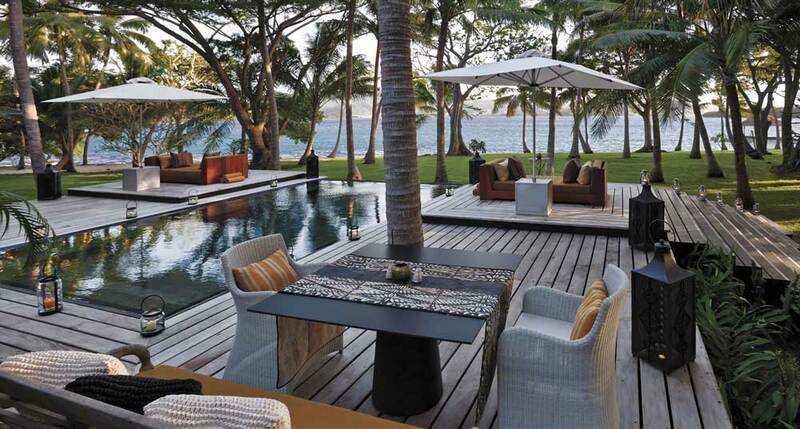 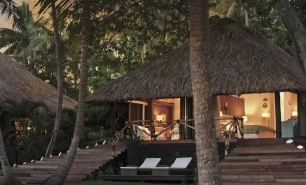 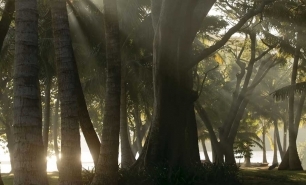 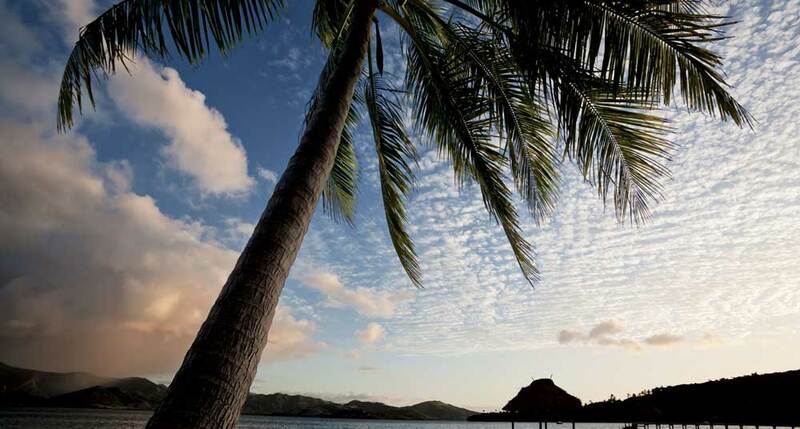 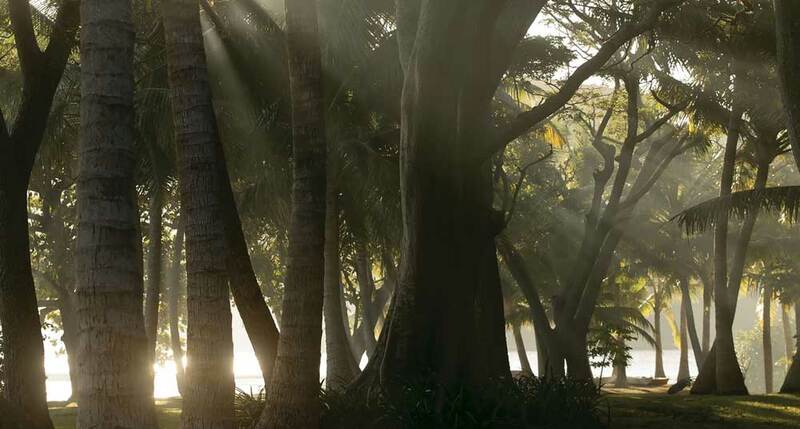 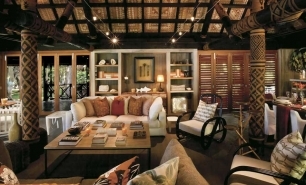 Dolphin Island offers the ultimate Fijian luxury island experience. 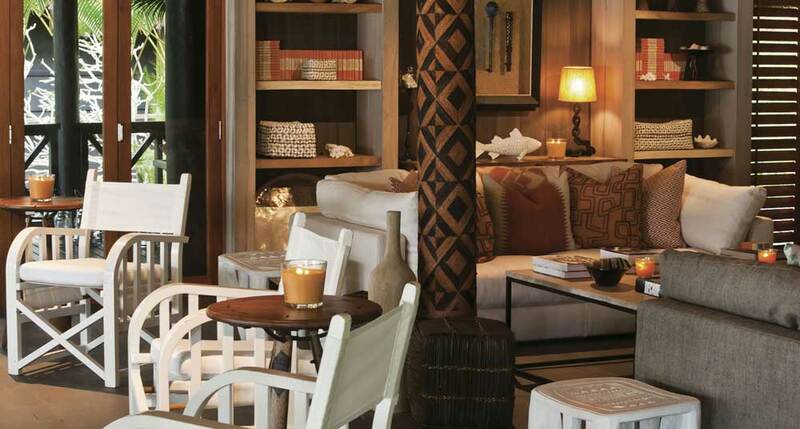 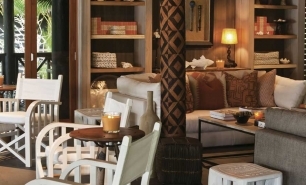 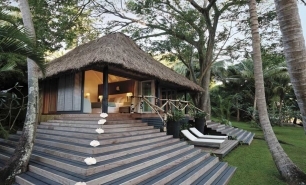 The resort has been redesigned by renowned designer Virginia Fisher who has artfully managed to preserve the Fijan identity of the accommodation, while subtly adding contemporary style and luxury. 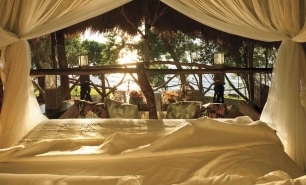 There is room for up to eight guests at the resort which has three large Fijan bures (pavilions). 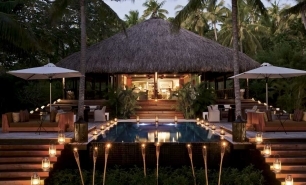 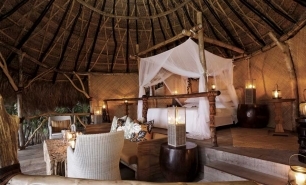 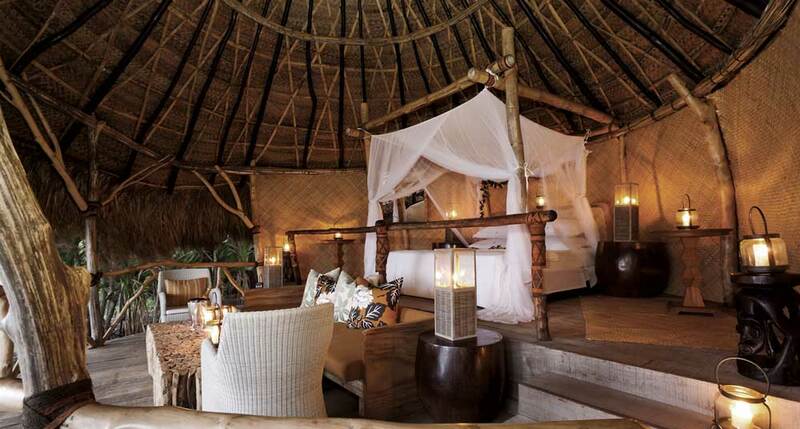 Each bure has palm thatched roofs and outdoor rain showers, and all of them are located around an infinity pool and surrounded by 14 acres of lush tropical vegetation and gardens. 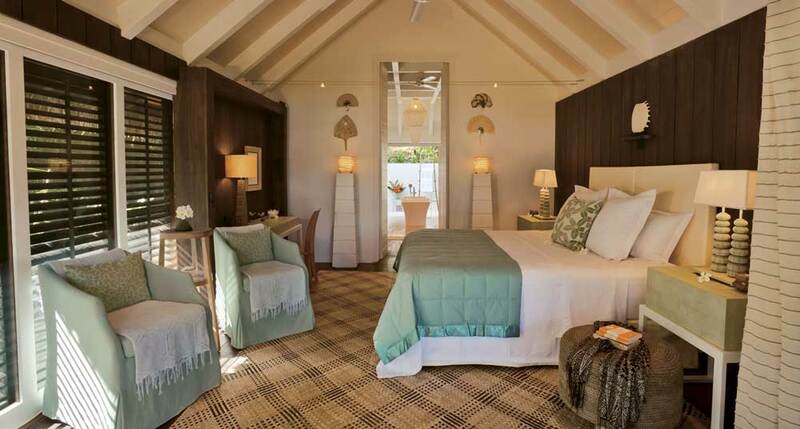 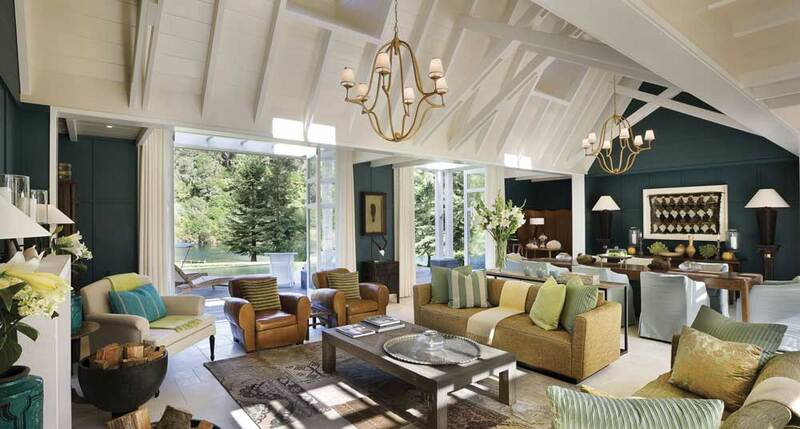 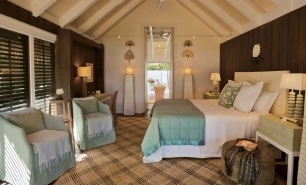 The bures are air-conditioned and feature timber floors, plaster walls, stone tiles, wooden shutters, and high ceilings. 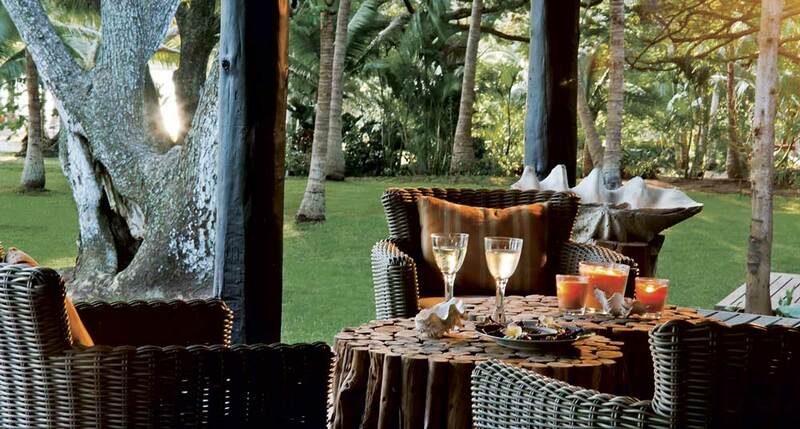 The main bure is the hub of rest and relaxation with a series of poolside areas designated for time spent lying on day beds or alfresco dining after a swim in the infinity pool. 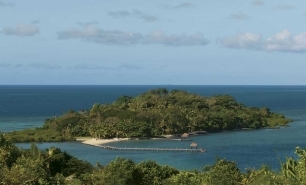 This is complemented by intimate beaches fringed by coconut palms and a hilltop sleep-out bure which is excellent for enjoying Dolphin Island by night. 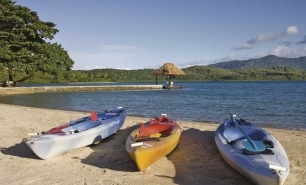 30 minutes by the island’s private boat from the tip of Viti Levu, Fiji, following a 2hr 30 minute journey by private car from Nadi International airport (NAN) or transfer by float plane or helicopter directly to Dolphin Island. 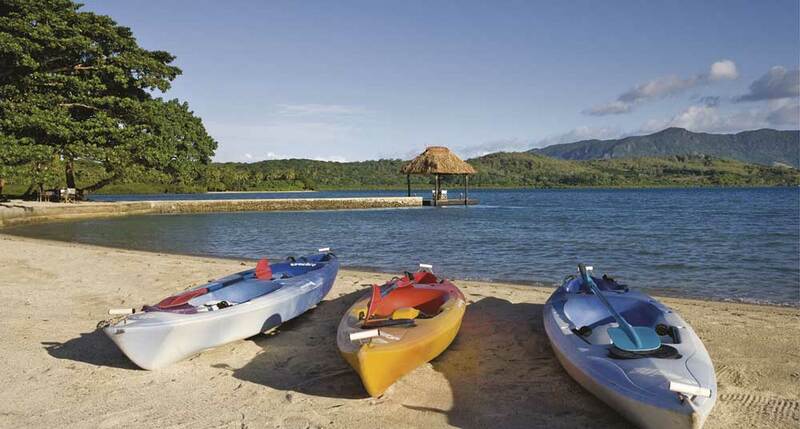 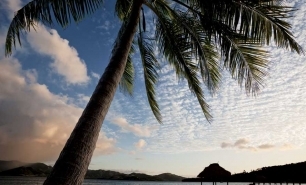 May to October is Fiji's dry summer season and is the best time to visit. 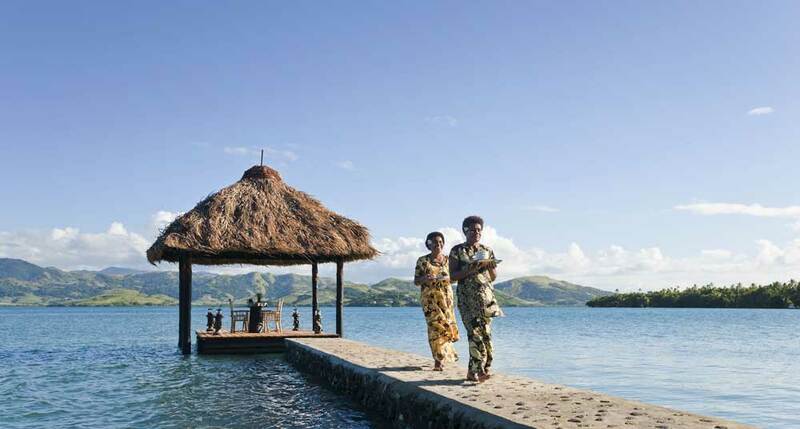 Fiji's 'wet season' is from November to April, with the heaviest rains falling from December to mid-April.